So, today I want to tutor you awesome people (ie programmers, because programmers are awesome people) how to set up your cocos2d project as a UNIVERSAL APP/GAME! As normal, I write tutorials based on what I research/want to do myself. I have been googling for soooo long time to find how to set up universal cocos2d project (ie, include iPhone, iPhone Ret, iPad & iPad Retina), but I just couldn't find any. So as noobs in cocos2d, I found some pieces of codes in the internet, and play LEGO (ie put them together) and modify it here and there and voila it works. So first of all, we need to consider about the assets (ie graphics) size. How are we going to make the graphics for universal game that runs and looks good in all iPhone, iPhone Ret, iPad and iPad Retina? 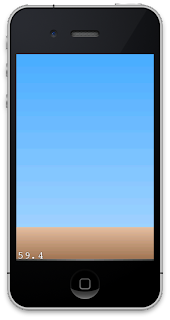 The easiest way to do this, is to crop your "play area" in the confines of iPhone screen ratio. 1. iPhone - 384 x 512. So the area that are non playable must be "padded" with any graphics to make it look nice in iPads. 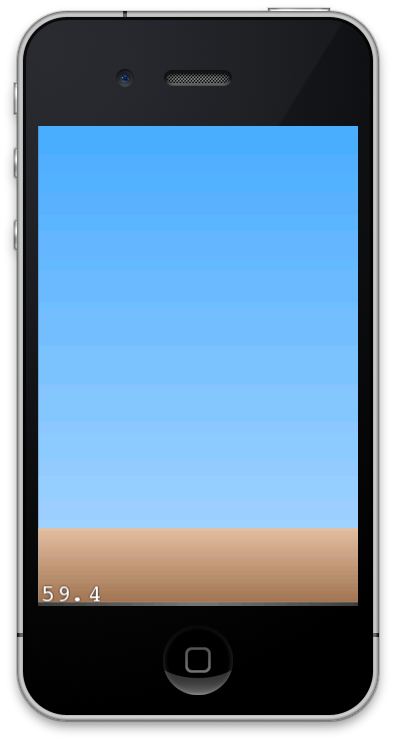 For this tutorial purpose, we will be creating a platformer with an animated character in the middle. On to the coding, you need this DeviceSettings.h header. I found this code somewhere (can't remember) and I modded it a bit. This header was originally designed for iPhone, iPhone Retina and then using the iPhone Retina graphics in iPad. This is brilliant because it reduces the amount of assets you need to pack up (and amount of assets you need to make/draw) in a project. Note that this file is only used to set the location properly (ie adjust location in iPad/iPhone). The function ADJUST_CCP and ADJUST_XY is particularly useful when positioning/moving sprites. But it is not shown in this example. //  Created by Emir Fithri Samsuddin on 1/31/13. Just copy the whole thing and save it as DeviceSettings.h and drag and drop it into your project. Next.... here's some meddling needed to be done to the cocos2d library. // check if path already has the suffix. Basically I added codes how cocos2d uses the images according to what device. So we are done "meddling" with the library. 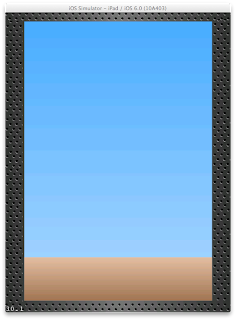 bg.position = ccp(theScreenSize.width/2.0, theScreenSize.height/2.0); // place at center. Now I will show you an example of how to load spritesheets accordingly. I mean, what good is an empty scene right? I'm gonna Google search for animated gif of Scorpion giving an uppercut, extract the frames and make a spritesheets out of them. I have Zwoptex for spritesheet making (Bought it for $15 for indie license). So from the animated gifs, I created 4 spritesheets. I won't be covering how to make a spritesheet here. But if you make a game, spritesheets are a must! 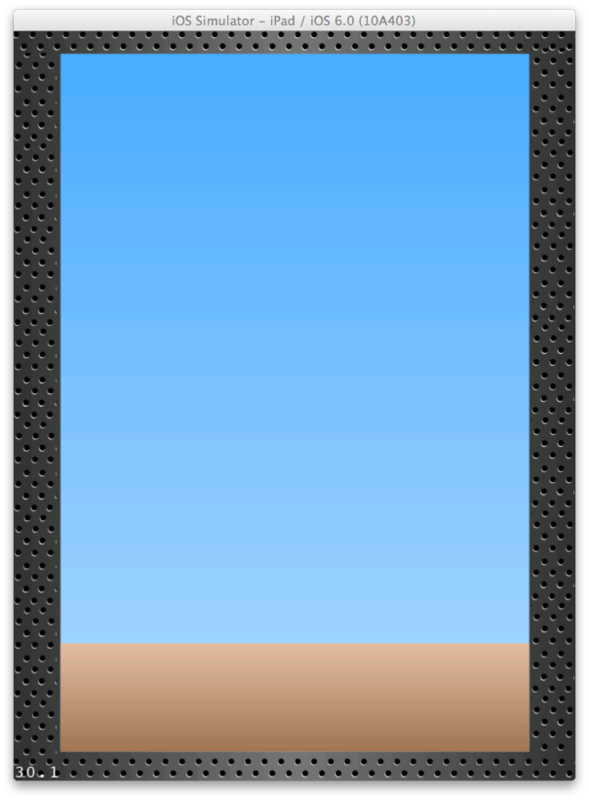 There are other apps to make spritesheet too, Zwoptex is one of them, there are also Texture Packer, and some others. Remember that 2 and 3 are the exact same spritesheets! I just create 3 and duplicate the hd or ipad. (Note: The sprite will look not so good in iPad Retina because I upscaled it the original one by 200%). a swoosh sound play as well. First of all, we need to add the spritesheets (and their corresponding .plist files) into the project. Note that we don't need to bother anymore with the name extensions since we already set it up nicely in CCFileUtils.m earlier. Marvelous! Note that we use "spriteWithSpriteFrameName" because we want to load an image from the spritesheet and not directly from the resource files (in which case we used "spriteWithFile"). Also do declare CCSprite *scorpion in the header. So next, we enable touches. 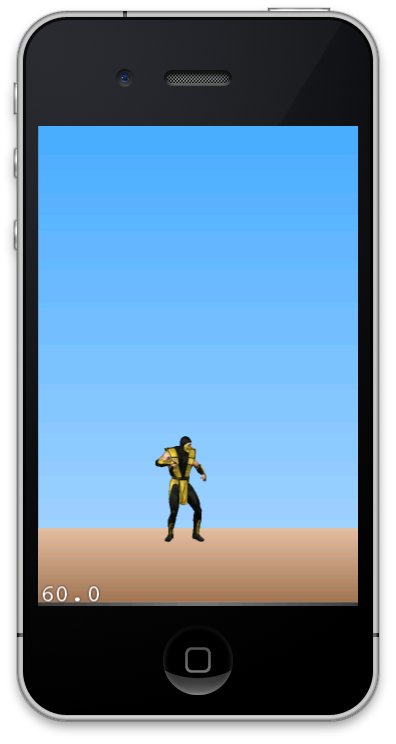 Then add a delegate method to capture touches and add animation to the scorpion sprite and play the animation once. Also, add a sound. Sounds in cocos2d are simple to use. First import #import "SimpleAudioEngine.h" and just call [[SimpleAudioEngine sharedEngine] playEffect:@"uppercut.wav"]; where uppercut.wav is the soundfile that you added to your project. So go ahead and add this line just above "return TRUE;" line in the method above. Stay tune for more cocos2d tutorial. I have another one in mind that will surely be useful to a lot of us.